I’m delighted to welcome you to Village Community School, The New York Leader in K-8 Education. The K-8 years are of crucial importance to a student’s lifelong success. We specialize in igniting children’s love of intellectual inquiry, in honoring their curiosity and in challenging their abilities to the fullest. VCS students graduate prepared to make their mark at premier high schools, in top universities and as global citizens. To best appreciate the VCS program, I encourage you to review our Curriculum Guide. Expect to experience the energy and excitement of 350 students rigorously pursuing ideas, testing scientific hypotheses, engineering devices, exploring diverse cultures, delving into the arts, debating different points of view, collaborating on major projects and celebrating achievements. Learning at VCS is marked by eager and sustained engagement in and mastery of the subject matter; intellectual risk-taking and creativity; self-confidence and empathy for others; collaborative problem solving; and joy in discoveries made, competencies acquired and solutions found. 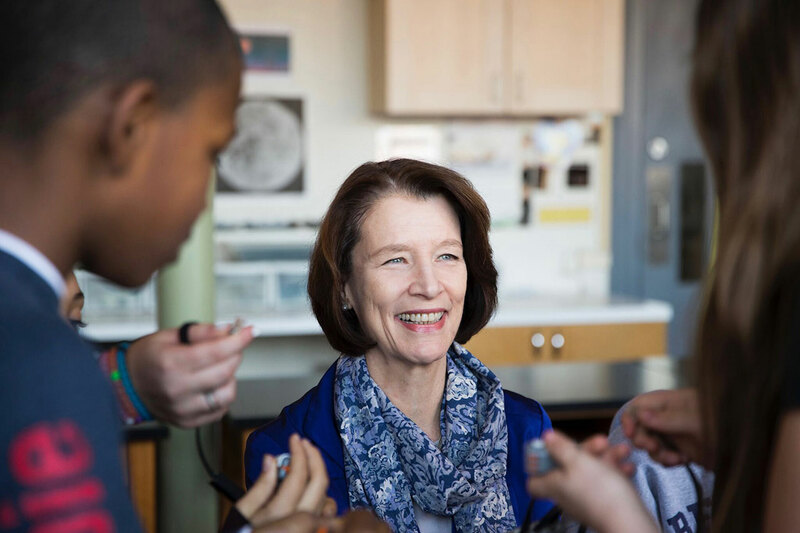 Teachers model inquisitive, enthusiastic, meaningful learning in the classroom and through their own professional growth, which is supported by a strong professional development program for all staff. At VCS, we are proud of our close-knit community drawn from our downtown neighborhood and throughout the New York area. The rich heterogeneity of our families and staff brings a wide variety of perspectives to our school, enhancing the growth of each mind and personality within it. Thank you for your interest in VCS. We look forward to getting to know you.